E3 is just around the corner, many gamers are expecting games, games, and even more games. But PlayStation has something else right now to curb your appetite just a little. 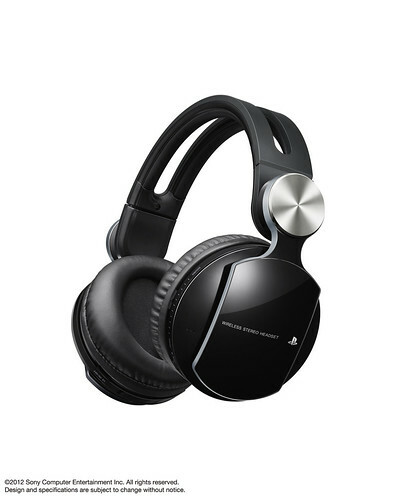 The PS Blog has revealed a sneak peak of the newest addition to the PlayStation Accessories family - Pulse Wireless Stereo Headset – Elite Edition, featuring “BassImpact” technology. Last year PlayStation introduced the Official PS3 Wireless Stereo Headset, and this year they are amplifying your audio experience with the brand new Pulse Wireless Stereo Headset – Elite Edition. What exactly is "BassImpact" technology? As stated above, the headset will be coming this fall for $149.99 (MSRP). This headset is considered an "incredible value, giving you a great sound experience for gaming at home on PS3, or on the go using your PS Vita or mobile device." And one more issue to wrap up. If you are using the existing Wireless Headset, there is an update to the PS3's system software addressing the Sidetone issues. Oh, and if you are wondering why the text at the top of the article is so narrow, it is because the image has a lot of white space in it. I can't help that. Info provided by the PS Blog US.